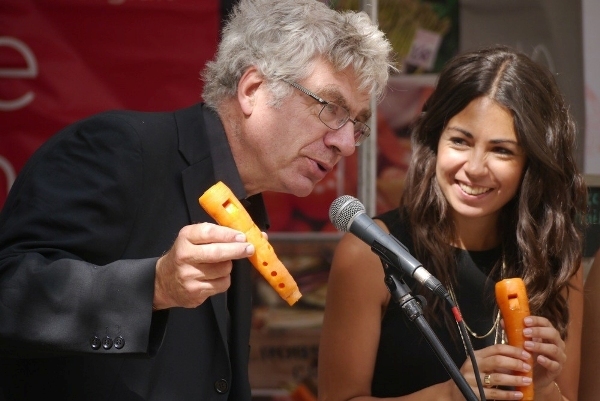 If you have ever wanted to know how to make a musical instrument out of a vegetable – you're in luck! Tim Cranmore, from Malvern in Worcestershire, has been making recorders from wood since 1980, but on February 16 and 17, 2018, he will be showing budding musicians at the Royal Birmingham Conservatoire how to make their own instruments from the humble root vegetable. Tim says: "The similarities between a boxwood tree – used traditionally to make a woodwind instrument – and a carrot are glaringly obvious if you think about it. They are both organic, cylindrical and grow in the ground. However, one is orange and the other isn't, although this distinction is a minor one when it comes to design. 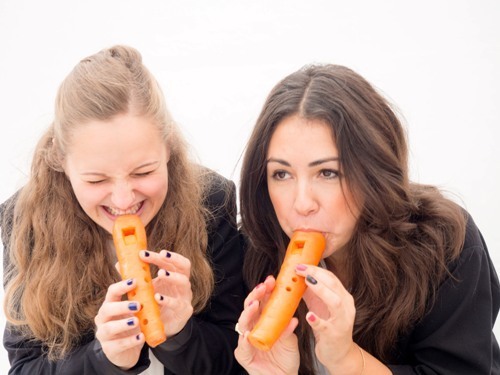 "By following the principles of recorder construction with a carrot, it is inevitable that a working instrument will be born. However, to get one to play over an octave, in tune and in G major, requires 40 years of experience. To make one in real time, in front of an audience, requires nerves of steel." Tim is a founding member of the London Vegetable Orchestra. Alongside performing as 'Principal Carrot', he is also the group's master instrument maker. As well as preparing carrot recorders fresh for every performance, he also creates courgette trumpets, butternut squash trombones and pumpkin percussion. Tim's free 'home grown' demonstrations in Birmingham join several professional concerts, workshops and participatory events taking place at the Royal Birmingham Conservatoire between February 15 and February 18 as part of the second Birmingham International Recorder and Early Music Festival. Click here for details of all the events. Tim Cranmore's carrot recorder demonstrations will take place in the Level 2 foyer of the Royal Birmingham Conservatoire between 2pm and 3pm on both February 16 and 17. 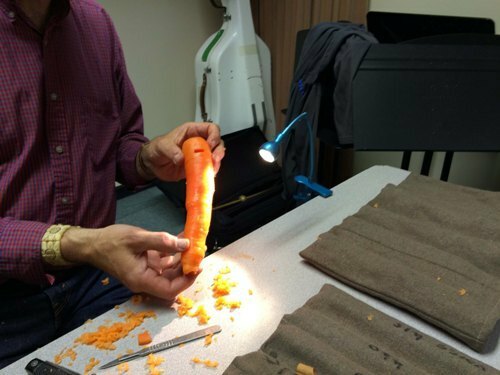 Cost: Carrot demonstrations are free; various prices for concerts and workshops.